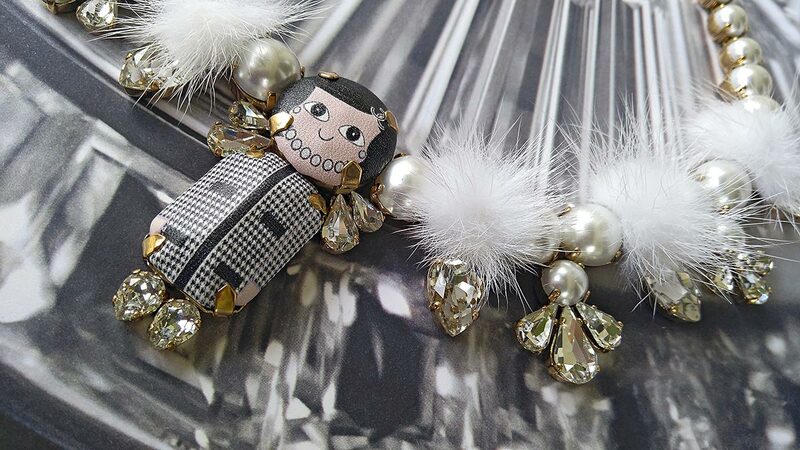 Designer-to-watch Julie Pasquet, the brains behind the Parisian handmade jewelry brand Bijoux de Famille, shares her F/W ’18-’19 European Dream and dedicates her Fashion collection to three legendary fashion icons: Coco Chanel, Anna Wintour, and Karl Lagerfeld. 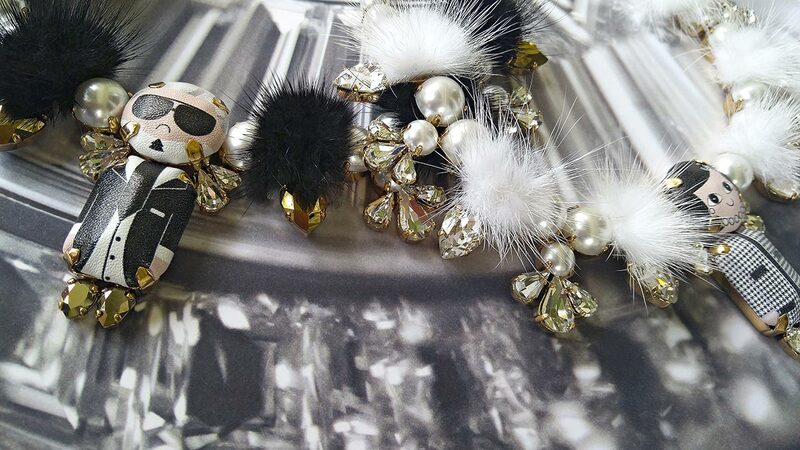 Its central pieces are necklaces, chandelier and articulated, crystal earrings, pearls, and fur. Hound’s-tooth for Fluffy Coco, the green and pink of the English countryside for Fluffy Anna and black for Fluffy Karl. 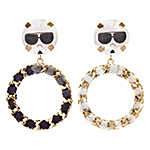 The designer has incredible fun creating pieces by transforming materials that aren’t intended for jewelry. Each collection tells a story with color and a sense of humor. Her printed heroes come to life thanks to her obsession with leather, crystal, gold and silver leaf, which she showcases with cutting-edge technology and her love for traditional craftsmanship. 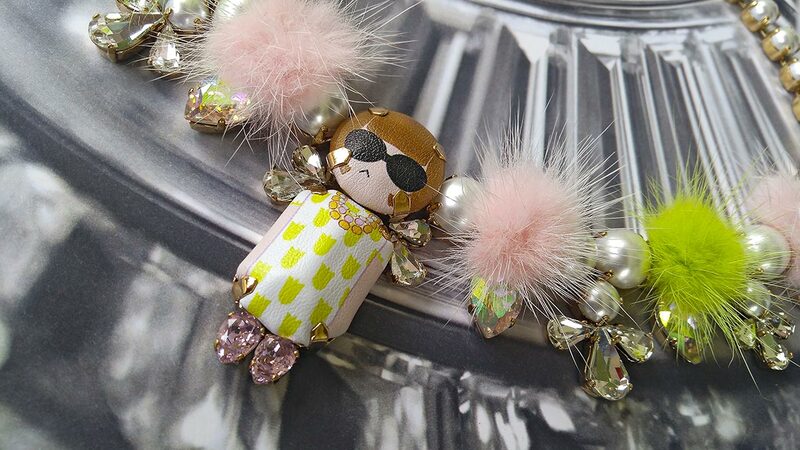 Her Bijoux de Famille collections are the family we all wish we had.